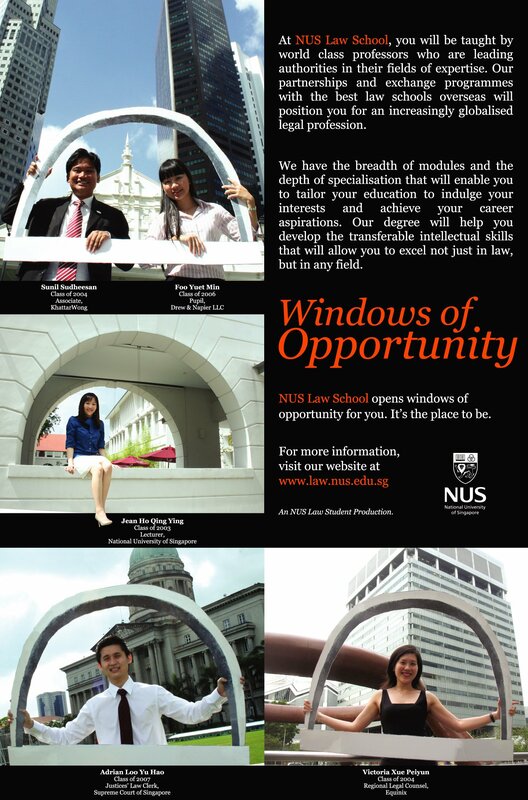 Greetings from the NUS Faculty of Law. Whether you have completed or will be completing your university entrance examinations, we wish you all the very best. At this stage, you will probably be mulling over your choice of courses and universities, be these in Singapore or elsewhere. 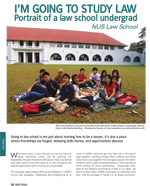 As you contemplate your options, let us acquaint you with the NUS Law advantage and tell you what it is that makes our law school special, and why we want you to be a part of our community. In a nutshell, you will enjoy diversity and choice, like no other school can offer. Our philosophy is not only to teach law, but to instill social conscience and empathy in our students. Instead of a curriculum with a heavy emphasis on compulsory or mandatory subjects, students can tailor their specializations from a variety of elective subjects according to their individual aspirations, career goals and public interest inclinations. Those whose strengths and interests lie in the law can choose to pursue law as a single honours programme, and even then, with opportunities to take subjects from other disciplines and to appreciate law from multi-disciplinary perspectives. 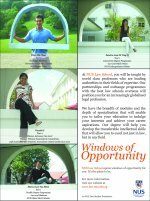 Those with an inclination for more than one specialisation can take any of our double-degree programmes, a number of which are unique to us. Those who prefer to work with international organizations, NGOs, think-tanks and public interest groups can concentrate on international and comparative law and policy. 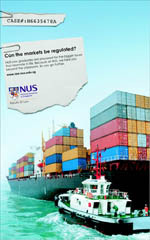 Those whose interests lie in commercial and corporate law can leverage on the law school’s traditional strength in this area, and combine it with our other strength - a comparative focus on the legal systems of other countries such as China, the US, the EU nations, India, Indonesia and Vietnam. 1. Diversity of Courses: Whether you pursue a 4-year LLB, a 3-year Graduate LLB or any of our Double Degree Programmes, you will be assured of a quality legal education at Asia's Global Law School. Curriculum-wise, around half of the required subjects in the LLB programme are compulsory common law courses that are critical for legal practice. There are also skills courses in the Legal Analysis, Writing and Research programme that foster creative thinking and independent learning. There is thus a good balance between compulsory and elective subjects. With compulsories completed by Year II, there is absolute flexibility for you to craft your own menu of elective subjects in Years III and IV. You can opt to specialize in areas as diverse as Corporate Law, Intellectual Property, Litigation, Criminal Law, World Trade Law, Asian Law, Shipping Law or International & Comparative Law (or to do any of these while on overseas exchange!). Such flexibility and course diversity are unparalleled and are made possible only because of the excellent and diverse teaching staff at the law school. 2. Double Degree Programmes (DDPs): Our DDPs are truly multi-disciplinary, and combine Law & Economics, Law & Business, Law & Public Policy, Law & Life Sciences and Law & Liberal Arts. You can thus graduate with two degrees and even double honours, typically in 5 years or less. Here, we leverage on NUS's unrivalled strengths as a comprehensive university, and you will be hard-pressed to find such an impressive array of DDPs anywhere. Indeed, Law & Public Policy and Law & Life Sciences will be absolutely distinctive and unique. In addition, we have agreements with New York University, Boston University, Erasmus University, King's College London, the University of Melbourne and the University of Toronto for a 4-year LLB-LLM programme. 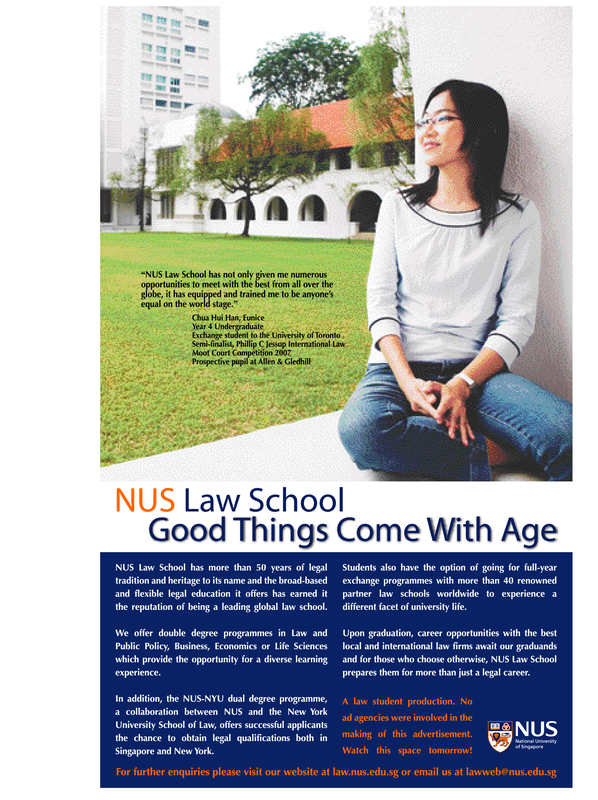 As a result, our students will get an unprecedented opportunity to obtain a Bachelors degree from NUS and a Masters degree from these peer law schools, with significant time and cost savings. 3. 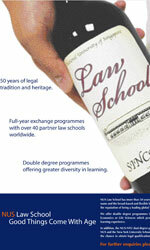 Student Exchange to over 50 Law Schools Worldwide: Our flexible curriculum allows students to take non-compulsory subjects from Year III onwards, which means students can go on exchange to any of our 50 partners worldwide in Year III. Take your pick: NYU, Columbia, Duke, Peking, Fudan, Tsinghua, Bangalore, UBC, Toronto, McGill, ANU, Auckland, Stockholm, Uppsala, Nottingham, Edinburgh, the list goes on! 4. Teaching Pedagogy: We believe in creative and independent learning. Research opportunities, continuous assessment, tutorials, presentations and seminar-style teaching are emphasized, bolstered by the finest law library in all of Asia. In addition, we do not think of law as a separate or stand-alone discipline. Hence, the approach is to infuse the teaching of law subjects with policy prescriptions from other disciplines, as opposed to segregating subjects into law and non-law compartments. 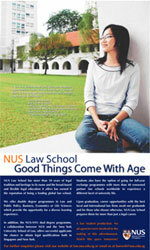 Overall, depending on whether you pursue a single or double degree programme, students keen on subjects from the other disciplines will be able to take between 15 to 40 per cent of their courses in such related disciplines, on top of enjoying multi-disciplinary perspectives within subjects taught in law school. 5. Diversity of students: You will interact with fellow undergraduate, exchange and graduate students representing 35 countries. 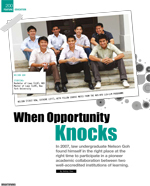 In addition, almost all the junior colleges and pre-university institutions in Singapore are represented. 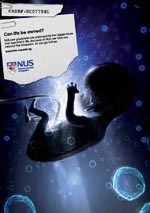 The NUS discretionary admissions policy recognizes students with special talent or achievement. We are thus committed to diversity of talent, nationality and social background. 6. Scholarships and Financial Aid: We are committed to assisting deserving students. 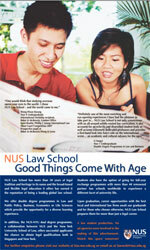 Apart from the scholarship, bursary and loan schemes offered by NUS, the law school has its own financial aid schemes that are supported by loyal and generous alumni. 7. Our Beautiful Campus at Bukit Timah: We feel privileged to have moved home to the original site of the NUS and its predecessor institutions. The historic Bukit Timah campus is located within the stunning surroundings of the Botanic Gardens, and has magnificent old buildings and quadrangles that have been refurbished with state-of-the-art facilities. The Upper Quadrangle, where the law school buildings are, have seen historic events like pro-independence rallies by the nation's early politicians. 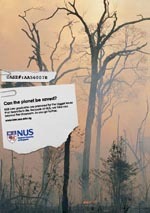 It is a campus like no other in Singapore. 8. Student Life: Our fitness-conscious students work out in their very own campus gym, take a run around the Botanic Gardens, return for a shower, and turn up for class! There are talks by academics, alumni and legal luminaries, and a whole host of student activities revolving around moot court competitions, charity concerts and of course, parties! 9. Extensive Alumni Links: We are proud of our five decades' worth of loyal alumni who fill the ranks of the judiciary, government, law firms, diplomatic corps, academia, media, the arts and public interest work. To name but a few, our illustrious alumni include President of Singapore Halimah Yacob '78, Chief Justice of Singapore Sundaresh Menon '86, former Chief Justice Chan Sek Keong '61, Attorney-General Lucien Wong '78, former Attorney-General V.K. Rajah '82, Minister for Law K. Shanmugam '84, Ambassador and former Dean Professor Tommy Koh '61, former Deputy Prime Minister and Minister for Law Prof. S. Jayakumar '63, former Chief Justices of Malaysia Ahmad Fairuz '67 and Abdul Hamid Mohamad '69, former Dean and Supreme Court Judge Prof. Tan Lee Meng '72, Members of Parliament Indranee Rajah '86 and Sylvia Lim '88, High Commissioner to the United Kingdom Foo Chi Hsia '94, Senior Counsel Davinder Singh '82 and Lee Eng Beng '92, acclaimed playwrights Eleanor Wong '85 (also an NUS Law professor) and Ong Keng Sen '88, actors Neo Swee Lin '86, Ivan Heng '88, Claire Wong '88 and Selena Tan '94, film director Kelvin Tong '97, fashion designer Priscilla Shunmugam '06 and Razer founder and CEO Tan Min-Liang '02. 10. Reputation and Career Options: While celebrating our heritage and tradition, we are also at the cutting-edge of legal teaching and research. 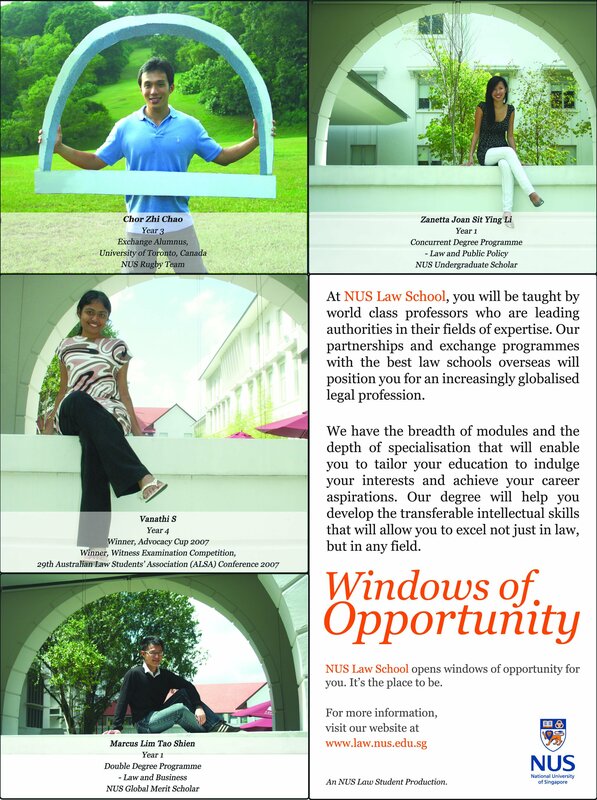 The law school has a sterling global reputation and is recognized by our peers as the finest law school in Asia and one of the leading law schools of the world. Our graduates are highly sought after by both local and overseas employers for their skills, training and sensibilities. Indeed, the quality of training we provide, the NUS brand name and the law school's established 50-year track record have been instrumental in securing the best job opportunities for our graduates, particularly overseas when competing with graduates from top foreign universities. 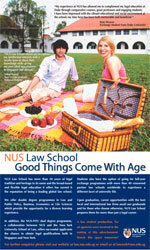 We recognise, as you will, that there are distinct advantages that come with an established law school. Ultimately, the worth of a degree lies in the reputation of its conferring institution, the career options open to its well-educated holder and the capacity of the graduand to make a difference to society. That, in short, is the NUS Law advantage.